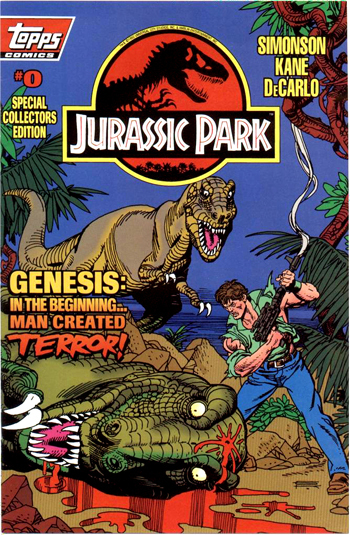 In 1993, Topps Comics published a series of comics as tie-in to the Jurassic Park film series as an authorized adaptation. This is a record of what each comic was available. Eventually IDW Comics would purchase the license and get the rights to the republication of these materials. Betrayal – Dennis Nedry is hired by John Hammond to setup the island’s systems, but Nedry wishes for more money to do it and as a result he and Hammond get into a financial debate. Nedry, defeated, goes and speaks with a “mysterious contact” on gaining more funds. 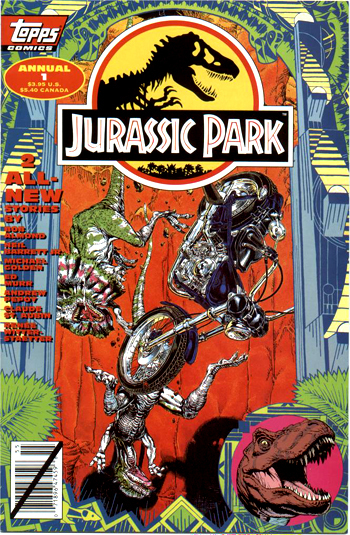 Several editions of this comic were published included a very limited Amber-Chrome edition and other versions were signed & numbered copies from the comic artists. After a worker is attacked by a Velociraptor, Donald Gennaro gets nervous once again after a worker is attacked by a Velociraptor. 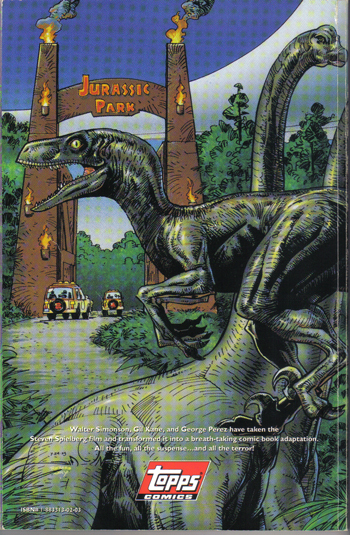 He goes in search of people to endorse the park, namely Alan Grant. 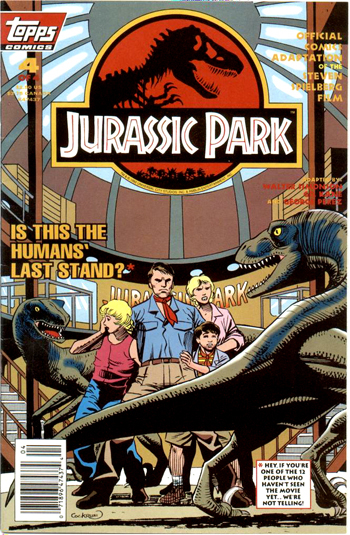 John Hammond manages to convince Alan Grant and Ellie Sattler to step away from their dig to come and visit his biological preserve in Costa Rica. Meanwhile, Dennis Nedry proceeds in his plan to obtain more financial resources and meets with the mysterious Dodgson. 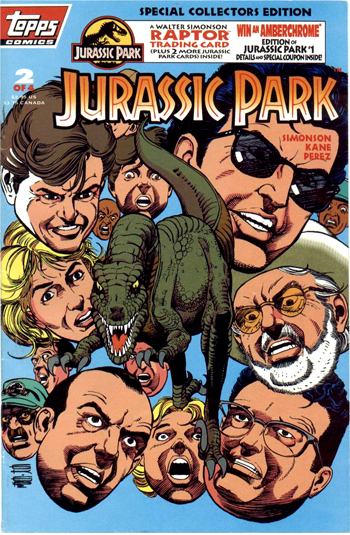 The team of scientists arrives on Isla Nublar and is surprised to see living dinosaurs. 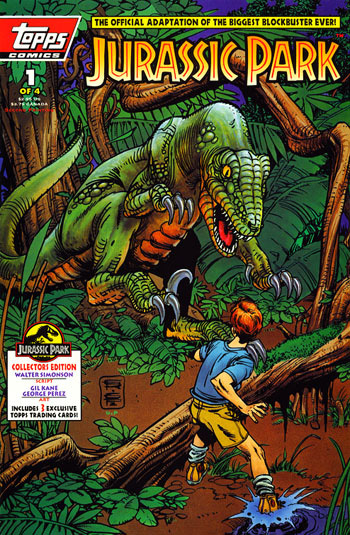 Dr. Grant, Dr. Sattler, and Dr. Malcolm arrive on Isla Nublar and discover genetically recreated dinosaurs alive in a natural preserve. After an impressive display – a herd of Brachiosaurs and a Velociraptor hatchling – doubt is once again placed on the project by Ian Malcolm. It is later found out that Hammond invited his grand children to the park. The group ventures out on a tour in the park and encounters several no-shows. This concludes when Grant and the others go to explore one of the paddocks and find a rather liely Triceratops staring the visitors down. 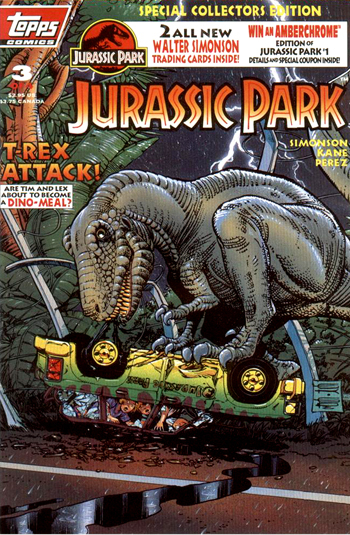 Surprised to find the Triceratops’ tranquilizers are taking effect, Dr. Grant learns from Gerry Harding, the park’s “Animal Quack”, that the Triceratops is mysteriously sick. Dr. Grant, Dr. Sattler, and Tim (Hammond’s grandson) discover the animal’s consumption of gizzard stones brings it too close to the West Indian Lilac bushes, the berries of which are poisonous. Unfortunately, a storm is coming and the tour has to be cut short. Ellie Stays with Gerry Harding while he finishes up with the trike. 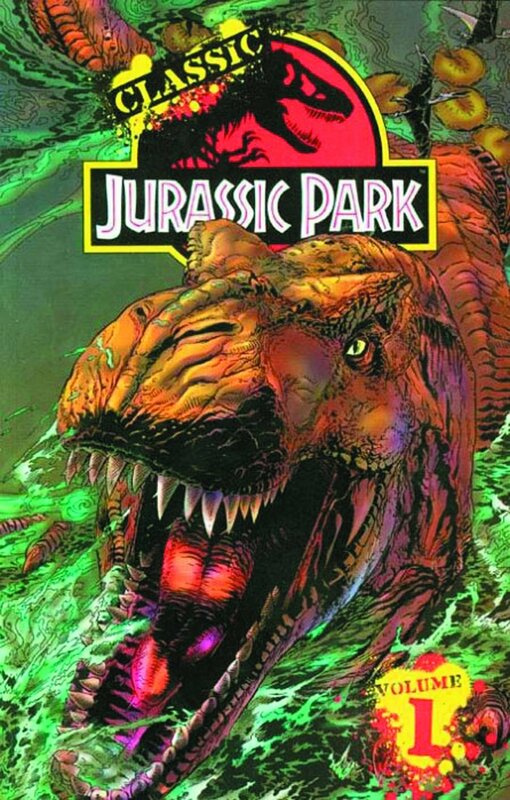 Betrayal is amid as Dennis Nedry’s plan comes to fruition and he shuts down the park’s security systems. 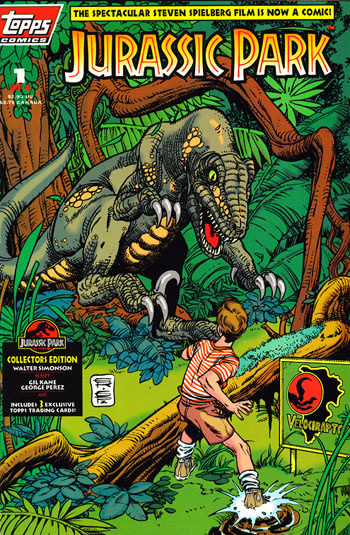 The Tyrannosaur escapes from its paddock, and Grant and the kids flee from its rampage. Dr. Ian Malcolm becomes injured and Donald Gennaro dies. The power has been shut off in the park due to Dennis Nedry, and Ray Arnold is tasked with powering the systems back online. 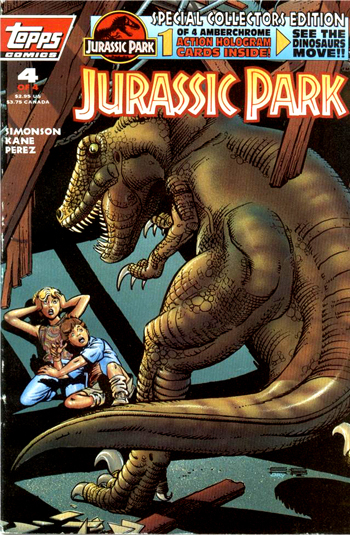 However, he soon falls prey to Velociraptors, as does Robert Muldoon while Ellie Sattler attempts to restart the power. The mainland is contacted and the survivors; Grant, Hammond, Lex, Tim, Ellie, and Malcolm; escape the island with their lives. 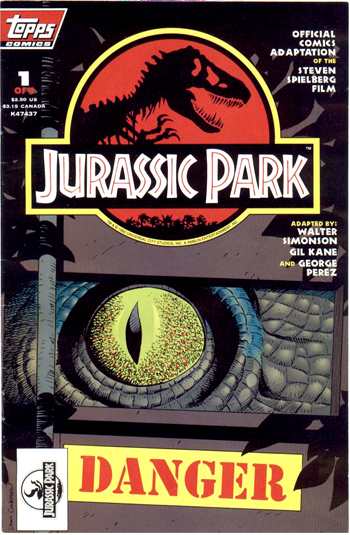 A compilation of Jurassic Park comics #1-4; the graphic novel also features bonus comic #0. It also contains interviews with cast & crew and much more! The annual featured two stories within this issue. To date, this is the only annual known to be made. Death Lizards: A tropical storm washes Dilophosaurus eggs onto the mainland of Costa Rica. A mysterious murder occurs soon after, followed by the death of several cattle. Several other Dilophosaurs begin making appearances and start to attack Costa Rican citizens. Sneakers: A Chinese investor and his daughter head to Jurassic Park to tour the facilities and decide whether or not to invest more money into the park. 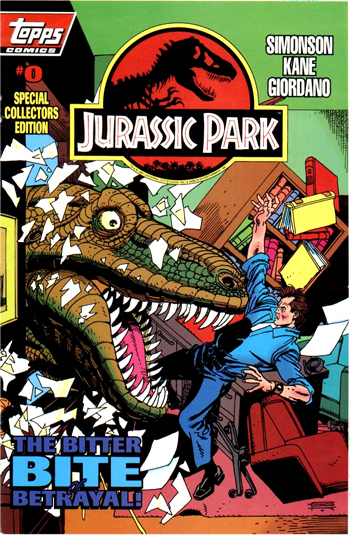 However, chaos ensues when the dinosaurs start to behave strangely shortly after the investor’s arrival. Characters Featured: Ray Arnold (? ), Mr. Chueng, Mr. Chueng’s Daughter, Tour Guides, and Control Room personnel. 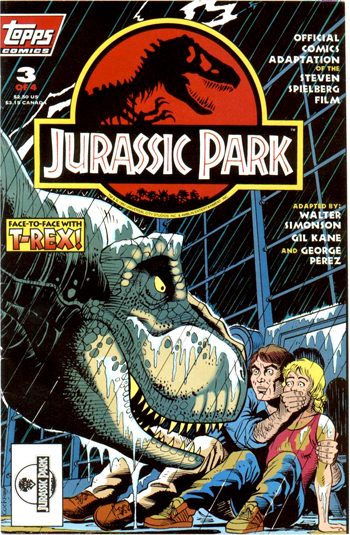 Composed of issues #1 through 4 of the movie adaption. 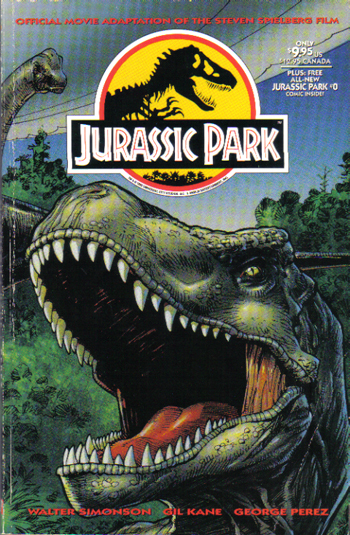 Jurassic Park #0 would be featured in Classic Jurassic Park: Volume 2. 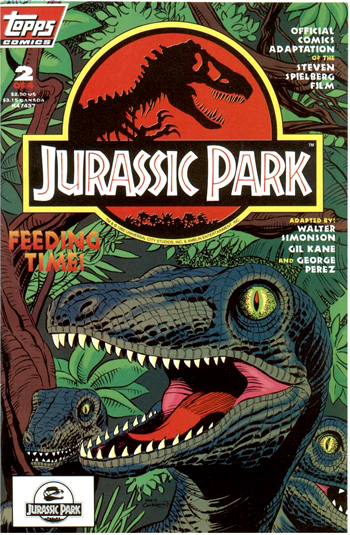 While the Jurassic Park Annual will be featured in Classic Jurassic Park: Volume 3. Published by IDW Comics.